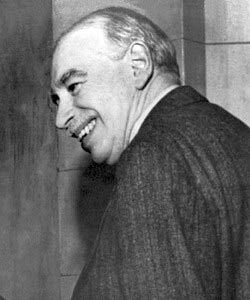 John M. Keynes (5 June 1883 – 21 April 1946) was one of the most influential economists of the Twentieth Century. His groundbreaking work in the 1930s led to the development of a whole new economic discipline dedicated to macroeconomics. His economic theories, which became known as ‘Keynesianism’ advocated government intervention to end the Great Depression. John M. Keynes was born in Cambridge to an upper-middle-class family. His father was a lecturer in economics and moral sciences at Cambridge University. He was a bright scholar who won a scholarship to Eton College. After Eton, he studied Maths at Kings College, Cambridge. At Cambridge, the great economist Alfred Marshall encouraged Keynes to take up the relatively new science of Economics. Keynes published his first economic article in 1909, and by 1911 was editor of the Economic Journal. During the First World War, Keynes acted as a government advisor for the government. He helped to negotiate terms with Britain’s creditors (UK debt rose sharply in World War One). At the end of the First World War, Keynes took part in the British delegation to the Treaty of Versailles. Keynes was shocked at the level of reparations the Allies wanted to impose on the Germans. Keynes resigned from the British delegation saying it was a recipe for bankrupting Germany. He wrote the Economic Consequences of the Peace in 1919, accurately predicting the difficulties Germany would have and the consequent political resentment at such as harsh peace treaty. In the 1920s, Keynes wrote a powerful critique of Britain’s decision to return to the Gold Standard at a pre-1914 level. Keynes argued that the artificially high value of sterling would make life difficult for British exporters. The decision to return to the Gold Standard in 1925 was widely blamed for the prolonged deflation and high unemployment the UK experienced in the 1920s. The Chancellor of the Exchequer, Winston Churchill, who was responsible for the decision admitted it was the biggest domestic mistake of his career. It was the Great Depression of 1929-39, which gave Keynes the opportunity to disparage and challenge the classical orthodoxy which dominated economic theory at the time. At the outbreak of the Great Depression, the classical response was to rely on free markets and balance the budget – through tax increases and cutting government spending. In 1931, Keynes was particularly critical of Ramsay McDonald’s austerity budget which cut public investment, wages and increased taxes. Keynes argued that the government should be doing the opposite. 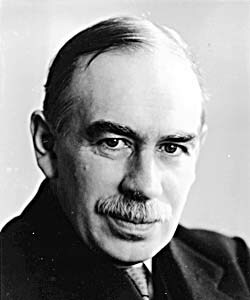 Throughout the 1930s, Keynes was a consistent voice for advocating higher government spending funded through higher borrowing. However, in most democracies, it proved a lone voice – apart from intermittent spending as part of Roosevelt’s New Deal. Keynes was also a great publicist for his own views, with a knack for attracting attention. For example, when he saw a waiter with nothing to do, he knocked some serviettes on to the floor. He explained to his bemused friends he was trying to prevent unemployment by creating work. In his General Theory, he used the analogy of digging holes in the ground to explain concepts of aggregate demand. – J.M. Keynes, The General Theory Of Employment, Interest, And Money Ch 4. 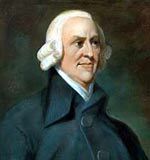 His work created some notable soundbites – he popularised the idea of the paradox of thrift (individual saving causes aggregate spending to fall). He also coined the phrase ‘in the long run we are all dead’. – J.M. Keynes, A Tract on Monetary Reform (1923) Ch. 3. In the 1970s, the reputation of Keynes’ work was challenged by the stagflation of the decade and the response of neo-classical economists and monetarists, such as Milton Friedman. But, the great recession of 2008-2013, led to a resurgence of interest in Keynes’ explanation for prolonged recessions. In 1940, his health suffered, and he had to cut back on his workload. However, after the Second World War, he was asked to take part in the British negotiations with America over debt repayments. It was Keynes’ job to emphasise to the Americans how bankrupt the UK was. The American delegation who met Keynes was deeply impressed by his intellect and passion. Though they couldn’t meet his demands until Congress became worried about the spread of Communism in Europe, and agreed to extend the terms of credit. Outside economics, Keynes was a lover of the arts, opera and noted for his exceptional wit. He was a formidable intellect and even critics admitted he had both great intellect and powers of persuasion. Another quality of Keynes was his optimism and belief in finding a solution. While many despaired at the social and economic cost of the Great Depression, to Keynes he saw a way out – it need not be like this. Keynes married the ballerina Lydia Lopokova but had a number of affairs with both women and men. He tragically died from a heart attack in 1946, just as he was helping to implement the post-war economic settlement and set up the Bretton-Woods system. Citation: Pettinger, Tejvan. “Biography of John M Keynes”, Oxford, www.biographyonline.net Published 3 Feb. 2013. Last updated 9 February 2018. Provided dissenting voice at Treaty of Versailles about the harshness of the peace treaty. Later, many in Britain felt guilt at the terms of Treaty, which justified appeasement. Opposition to Gold Standard. In 1931 Britain finally left Gold Standard, which Keynes had criticised for a long time. Keynes is credited with the creation of the branch of macro-economics – which up until that point economics was only concerned with micro-economics. A pacifist for much of his life, in 1936, he argued Britain should rearm in face of the Nazi threat. What would Keynes do? – by Tejvan Pettinger. (Note this is the author of Biography Online’s book on Economics. Famous Economists – Famous economists from Adam Smith to Milton Friedman and Paul Krugman.